That’s the textbook definition of ‘Inspirational’, which clearly needs to be updated following the events at Globe Derby last Saturday night. The new definition should be… Inspirational: See Dani Hill page 264! 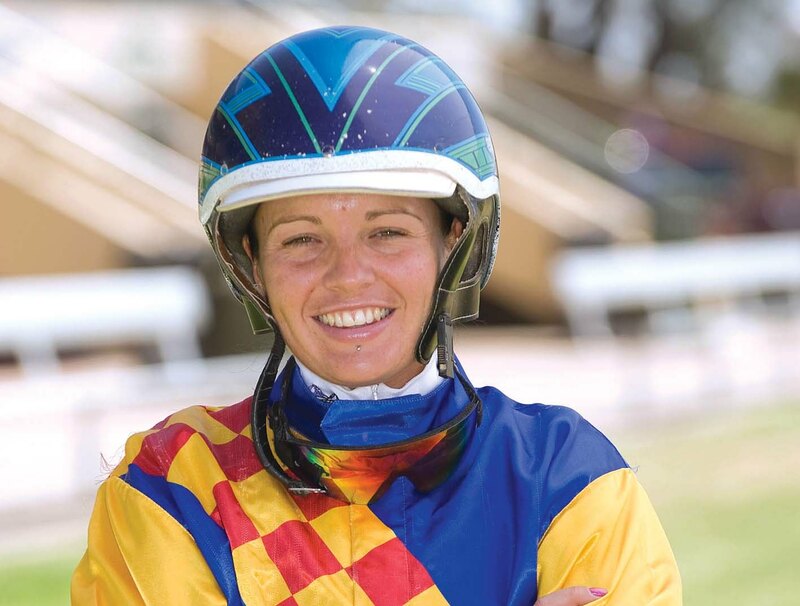 Having already impressed everybody who has heard her story in recent years, Hill has once again proven a source of inspiration after being involved in a horrific fall during the South Australia Derby. As the field approached the bell, Im Sir Blake which had been over racing, choked down crashing to the track which saw Major Exclusive and Culture King also tumble while Perfect Major’s driver, Gavin Lang, was dislodged from the sulky. Hitting the ground hard, Dani Hill – who was partnering Im Sir Blake – was then squashed by Major Exclusive before Culture King ran into the pair catapulting reinsman Paul Cavallaro 10 metres into the air. While Darby McGuigan behind Major Exclusive and Lang escaped injury, Hill and Cavallaro were taken to hospital with several concerns. The pair had surgery on Sunday, with Hill requiring pins in her broken tibia and Cavallaro sustaining a “shattered nose” and three breaks in his wrist along with severe lacerations to his face which will require plastic surgery. In a bid to help the pair during a time of lost income, fellow horseman Aaron Bain started a ‘GoFundMe’ page yesterday only to have Hill insist any donations are given to the Teal Pants Team. Between February 1 and March 10 every reinswoman in Australasia will wear teal pants to raise valuable funds and crucial awareness for the ANZGOG – Australia New Zealand Gynaecological Oncology Group. Since the campaign went national in 2017 – having originated as a Victorian-based fundraiser – Hill has been the top performing driver. “I was hoping she would at least accept 50/50 between her and charity, but Dani is pretty stubborn,” Bain said. “She wants every cent that goes into the kitty to be given to the charity. “She is disappointed she can’t drive during the teal pants period and this is her way of still raising money for such a wonderful cause.